The favourite website for travel professionals looking for the best deals on bus coach hires and minibus with driver rentals in Germany. Find bus and coach hire deals for places like Munich, Frankfurt, Berlin, Stuttgart, Bavaria, Hamburg, Cologne, Dusseldorf, Leipzig, and all other provinces and cities in Germany. With our simple tool you can compare prices and plan all your group transport needs like chauffeured motorcoach rentals or minibus hire for airport transfers, day trips and tours in Germany and around Europe. We connect you to local bus coach and minibus providers so you can get quotes and make reservations without wasting hours searching the internet. To get started complete the form below and start receiving quotes for bus rental and driver services in Germany. As the home of the some of the most influential names in the automobile industry, Germany has had coaches and minibuses on its roads for almost 100 years. In Mercedes and Volkswagen Germany has two of the world's biggest coach manufacturers and there is a very good chance that you've already traveled in a German built coach. As a country Germany is the home to the world's most iconic vehicle brands and most probaly you'll have travelled in a Mercedes Sprinter or Setra coach bus which is also a Daimler brand. Across Germany different bus coach operators specialist in different markets. This could be students, bus routes, worker transportation, corporate clients, and the international tourism market. Some companies also work across all these sectors. In Germany you're almost guaranteed to find a vehicle that exactly meets the needs of your group. 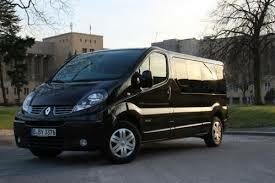 From 8 seater minibuses to 79 seater luxury coaches there is a size for every group's needs. Coaches have very high standards of comfort and facilities, but you may also be able to find cheaper older vehicles if this is what your group requires. Germany is a large country but has an excellent network of autobahns: highways that conenct major destinations and cities across the country. These roads are also famous for having no speed limit, which might explain the success of Formula One legends Michael Schumacker and Sebastian Vettel. Explore cities that thrive with history and culture. In the case of Berlin you'll discover a remarkable recent history that interweaves war, conflict, and eccentricity. Check out the funky street art but be careful of the funky body odour smell coming from local artists. Thanks to the healthy competition between bus hire operators the prices of coach hire are very reasonable. As a general guide a 40-50 seater luxury coach will cost around €750 – 1000 per day, and a smaller 24 seater minibus costing around €500. Most companies will quote dependent on the number of kilometres you will travel. By using our reservation tool you can get competitive quotes on coach and minibus hire in Germany and compare before you book. However in the palaces of Munich you'll find a history that goes back hundreds of years. Munich is also home to the world's most famous beer festival, the Oktoberfest. Every year millions decend on the city to drink litre after litre of beer and then fall over. And then do exactly the same thing the next day. Regions like Bavaria are home to stunning forests and mountains, while the romantic Rhine Valley is one of the prettiest places in Europe. Some cities are marked by an industrial past, while others like Frankfurt are remarkably modern. Wherever you go you'll hear the rather ugly German language that can make phrases like 'I love you' sound like a threat. View of a part from the old city Hattingen in Nordhein-Westfalen with its terraces and buildings. Germany has 36 commercial airports and there are airlines that service cities all over the country. Munich, Dusseldorf, Berlin, and Hamburg airports all receive more than 10 million passengers a year and almost 60 million pass use Frankfurt airport annually. There are companies that specialist in touristic transfers and moving foreign groups around Germany by bus. Many of these companies will offer you a choice of vehicle and what better way to start your trip than a transfer in a German Mercedes Sprinter or Setra bus coach . Usually your driver will wait for you a the airport transfer meeting point. If you're using a budget airline beware of some confusing airport names that stink of false advertising. For example Frankfurt-Hahn is actually over 100 kms away from Frankfurt in a town that exists in the middle of nowhere (Hahn). So you'd be gutted if you landed expecting to see the city's iconic Manhatten skyline. Does your service cover the whole of Germany with minibus and coach rentals? While we don't cover the whole of Germany our directory is growing quickly and if we don't cover your destination we'll do the research for you. All you have to do to get started is to use the form below and we'll do the rest. Soon you'll have quotes to compare and services which can be booked directly though our website. No more phone calls or emails! Our website connects local bus operators in Germany and other countries to customers from across the world. We can help you by opening up your travel company to new markets and clients. It's completely free to promote your local bus company on our website and you'll be able to create your own company profile. On our bus rental directory you can list detailed information about your services as well as posting photos and getting a free back link to your own website. Get started today and start receiving quotes from travel professionals and private clients all over the world. "I excellent service, from the booking a year before the trip to the day of the pick up. Communication and punctuality irreproachable. Will recommend and use it again in future trip to Spain. Catherine Marsal "